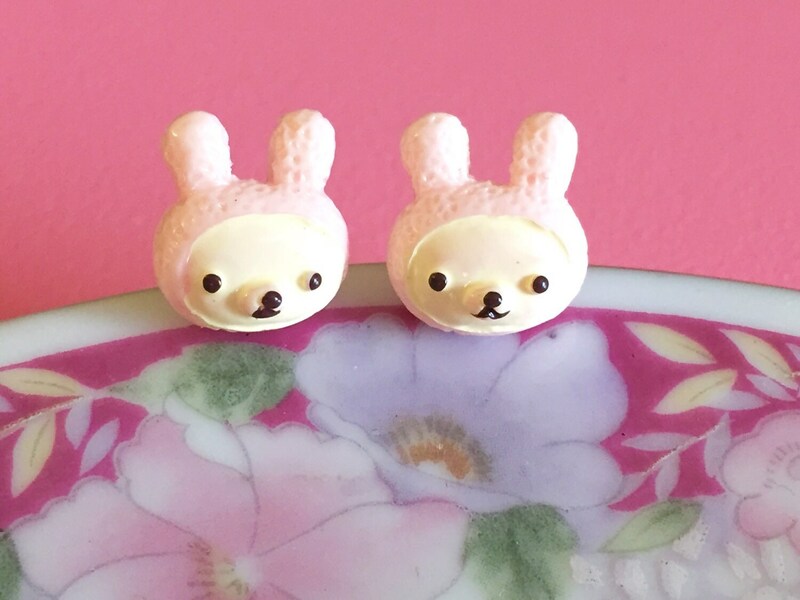 These pink rabbit earrings look just like a fuzzy stuffed bunny :) They are so cute and would make a perfect gift for Easter. The earrings measure about 1/2 inches (13mm) in diameter and are finished with surgical steel posts. Please note, all stud earrings are MADE TO ORDER so please allow up to 72 hours for me to prepare your item for shipment. Thanks in advance for your patience!